Kids are natural worshippers. Dazzle our children with things of God. (I first hear of that expression from Pastor Tedd Tripp.) I have been seeking God to build children up to adore him. Worship is what completes men. It is what men are made for. Whether we worship God or something else. We are all worshippers, and honestly, I rather worship the King of Kings, the Lord of Lords – Jesus Christ. The Alpha and the Omega. There are all sorts of worship on the shelves today. The best ones are those that are scriptural, catchy and fun. There is nothing scriptural to anchor a child’s heart. What does sitting on his shoulder to see the whole wide world got to do with God? There is nothing to hem him for life. It is putting all the wrong ideas into a tots mind and then expects that sitting on daddy’s shoulder to see the whole wide world is the better thing than funky toys? If this song was written for an older preschooler, then sitting on daddy’s shoulder is way past excitement. I was really confused in the end what this song was trying to achieve. The only good thing seemed to be its extremely catchy tune. Unfortunately, my tot could already sing most of it, clearly. 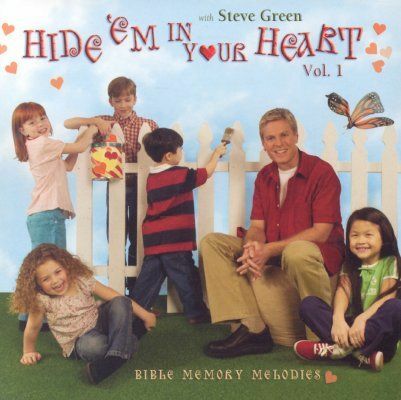 Excellent scriptures in catchy tunes and simple to sing for toddler to preschool. Themes of obedience, catchy tunes that is so easy to sing. Even I had finally memorized Galations 5:22 and gotten the fruits of the spirits in the correct order! It was effective combined with devotions or teachings for a tot who could understand basic concepts. He was able to sing “Children, obey your parents in the Lord, for it is right.” Adding fun into teachable moments. Only thing is that Steve Green songs can have a signature tune that could be over-used. Overall, it is still a good buy. building blocks for kids. I’m going to get it all for sure! I was looking up for songs to accompany our family devotional time when I found this. A check with some other mummies led me to discover this album was dreamed up by a pastor whose church is the same one they produce well known musicians like Michael Card and Stephen Curtis Chapman! Catechism are doctrines which lays the foundation for spiritual walk, and relationship to God. 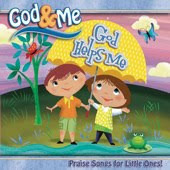 Themes like “who made me”, “Is there more than one true God” are topics that preschool children can learn and understand. The Childrens first catechism was surprisingly NOT boring. Music arrangement was so lively, you want to jump out of your chair to dance as well! Sang by kids for the kids definitely does more than captivates the listeners. A sure buy for me. 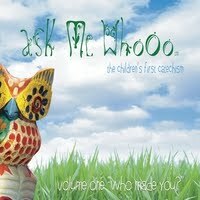 Check out the samples on CDbaby. I recommended the age group because, the themes of each album are more suitable for children who already have a foundation of basic doctrine. Who is God, who created them, God loves them, God will protect them etc. it also assumes that the child has a basic to intermediate idea of the various attribute of God, plus some life experience to connect to the the living God in their lives. I havent gotten this, but plan to get this in the future.